Besiktas JK Cola Turka remained unbeaten in Group B by trashing Portuguese side Ovarense Aerosoles 100-74 at the Akatlar Cola Turka Arena on Tuesday in Istanbul, Turkey. Christian Dalmau let the way with 24 points and an ULEB Cup record-tying 14 assists as Besiktas improved to 4-0. 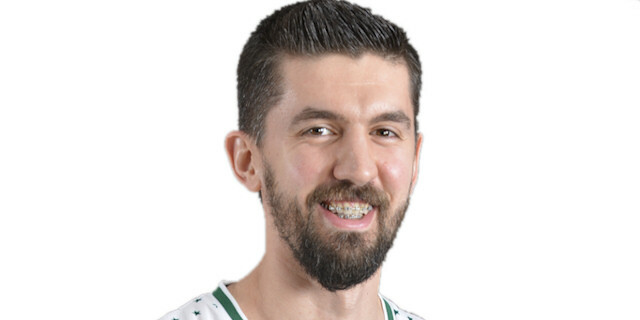 Dalmau tied the ULEB Cup record that Roko Ukic had when he dished 14 assists in a Ionikos NF Egnatia - Split Croatia Osiguranje game on January 20, 2004. Preston Shumpert added 19 points and 5 steals. Kaya Peker had 13 points and Sinan Guler added 12 for Besiktas. Graham Brown led Ovarense with a double-double of 26 points on 10-for-15 two-point shooting and 13 rebounds. Gregory Stempin added 15 points, 7 rebounds and 6 assists, while Elvis Evora had 10 points for the guests, who missed their opening 10 shots, allowing Besiktas to start the game with a 17-0 run. Ovarense never recovered, as an outstanding Dalmau allowed Besiktas to boost its margin to 31-10 after 10 minutes and keep a double-digit margin all the way until the final buzzer. Besiktas got off to a strong start, especially on defense, as it made Ovarense go scoreless in the opening five minutes in which the guests missed 10 consecutive shots. Meanwhile, Guler and Dalmau fueled a game-breaking 17-0 opening run that Peker capped with an easy basket. Ovarense found its first points on free throws by Evora, but Besiktas kept rolling. Shumpert hit consecutive triples and free throws by Guler made it 31-10 after 10 minutes. The visitors had a 0-7 start to the second quarter to closed the big gap a little bit, with Stempin, Brown and Fernando Neves providing the points. Besiktas answered through Onur Aydin and Erkan Veyseloglu, but Ovarense responded with another run to make it 38-25. The Portuguese champs tried hard to get even closer, but Nicevic, Rick Apodaca and Shumpert made it 51-34 by halftime. Shumpert and Dalmau broke the balance for the home team at the beginning of the second half and extended the lead to 20 points again. Nicevic and Peker also stayed strong inside and a Shumpert layup put Besiktas ahead 67-40. The lead would peak at 75-42 as Besiktas started to coast. Cordell Henry got the deficit down to 81-61 at the beginning of the last period, but the home side kept Ovarense scoreless for three minutes to kill end hopes of a comeback andseal the win. "It was a game which we had to win for sure for the good of the leadership of our group. We had an early lead in the game and got what we needed for a little while, just in the first quarter. We really had a good margin which helped us to control the game easier than we expected. We tried to use all our players including the ones sitting in the bench rather than the others. This is a clear win for us in a group in which we are aiming to finish at the same place at the end of the group stages." “They started too strong. They scored 31 points just in the first quarter as they had the decision of the game very soon. We started very bad as you can easily see. They didn't miss any of their shots and played with a good percentage. In the second quarter we played better but it didn't help us to change the mood of the game. 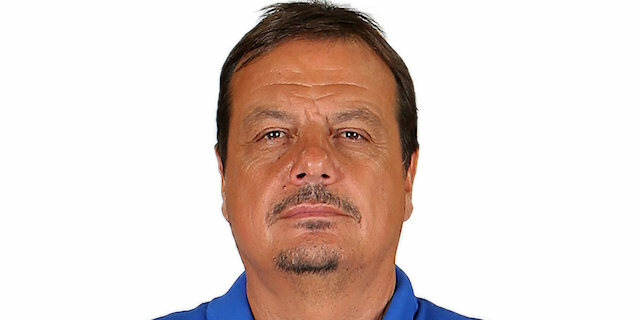 There's nothing much to say but to congratulate Besiktas Cola Turka and its coach for their deserved win." “We prepared the game very well and we proved that we analysed our opponent correctly. We found the rhythm just at the beginning of the game and had a very good difference in the first quarter. It helped us a lot in the rest of the game. Now we are focused for the rest of the matches in our group."